I received my Bachelor’s degree in Biology and subsequently my Doctor of Dental Surgery degree (D.D.S.) from the University of Iowa. While in dental school, I won several awards in the field of prosthodontics and was encouraged by my professors to pursue advanced specialty training in prosthodontics due to my skill and attention to fine details. Prosthodontists specialize in the restoration and replacement of missing teeth, and have seven years of formal training – four years of dental school, and an additional three years of advanced specialty training. Through her training, Dr. Suzie Ahn has become an expert in diagnosis and treatment planning for smile makeovers using veneers, crowns, bridges, implants, and dentures. Her goal is to provide her patients with treatment that is both visually appealing and highly functional so her patients can smile with confidence! 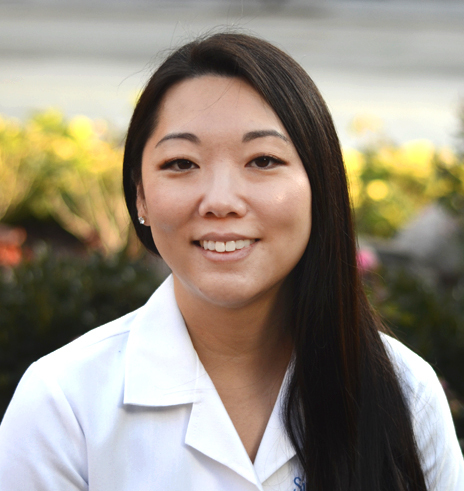 Dr. Ahn’s patients love that she is a great listener and that she spends the time to understand their needs and answer questions! In her own words she says, “I always want to treat my patients like family, and present the same options and quality of care I would want for myself or for my parents”. In addition to seeing patients, Dr. Ahn is also actively involved in teaching. She holds a faculty position at the University of Illinois at Chicago College of Dentistry. She has been involved with teaching courses in implant dentistry, complete dentures, and fixed prosthodontics (crowns, bridges, and veneers).